Show off your dog's status in the fun Bad to the Bone Dog Shirt in Black! 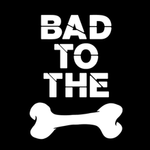 The Bad to the Bone Dog Shirt displays the words "Bad to the" and a bone graphic. 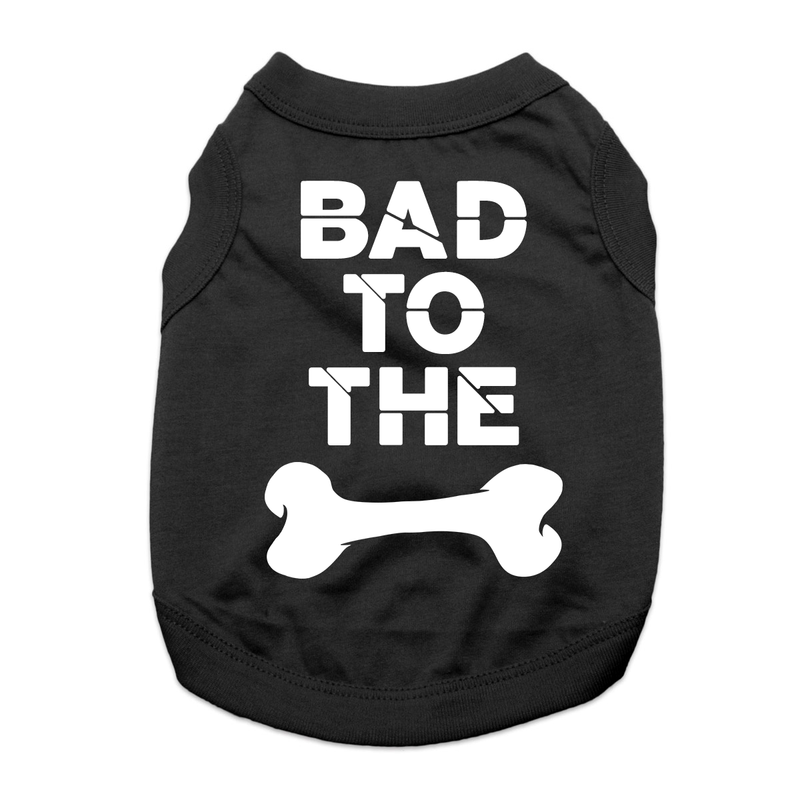 This dog shirt features a sleeveless style and a high-cut, stay-dry belly for ultimate comfort and convenience. The breathable soft knit is made of 100% cotton. Machine wash, cold and dry flat for best results. Available in a wide range of sizes to suit most breeds. Posted On 06/18/17 by Georgia A from CONYERS, GA Yes, Georgia A recommends this product! I ordered this a little to big, but LOVE it. I have a friend I will give this to. Thank you!! Posted On 06/04/17 by Don A from Jacksonville, FL Yes, Don A recommends this product! Great Shirt! Fits our girl well, with room to grow (if needed). A little too warm in FLA right now, but come Oct/Nov (Halloween) time - she'll be ready to BOO! When you follow the sizing chart and it says XL, go one higher!! i think even my dog liked it. Love this t-shirt. Made well, great price. My dog looks so cute in it. I found the website extremely easy use and LOVED the fact that there was sizing with each piece of clothing and not just one general size for each piece. Super user-friendly site!